Buy: $32.99 Gaming Keyboard and Mouse Combo, SADES Gaming Mouse and Keyboard. Buy: $22.95 Logitech MK520 Wireless Keyboard and Mouse Bundles. $48.97 Logitech Cordless Desktop S520 Spanish Keyboard Laser Mouse Computer NEW! $21.99 BRAND NEW! 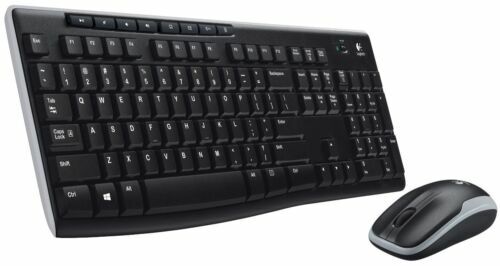 Logitech MK270 Wireless Keyboard and Mouse Combo, FFP FREE SHIPPING!